Kat attended Dalton State College and recently graduated with a degree in Marketing. She fell in love with Chattanooga’s nature scene and eclectic atmosphere. 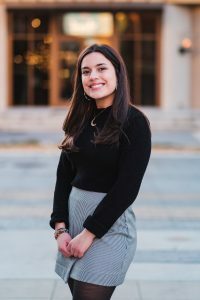 She gained experience in the event industry with two internships, with one being at a local event venue where she served as a Marketing and Events Intern. Her favorite aspect of working in the event industry is the diversity that comes with each event. She loves being able to work with a variety of clients with distinct tastes and watch their visions come to life. She is also a huge detail lover and one of her favorite parts of working an event is being able to use space, such as placing centerpieces and decor among a venue. Kat’s other interest include photography, traveling and attending concerts.